Experience the extraordinary sensation of Kleenex® lotion. Softness with a delightful touch of lotion — our most soothing tissue. After dealing with a runny nose for a month now, using my Kleenex with lotion is like pampering myself. No more rawness or cringing at the thought of having to blow my nose one more time with sandpaper. I can definitely appreciate the lotion affect but why is it never on sale? 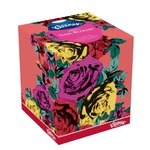 The price is great, the scent is nice and natural, very gentle for skin, even the most sensitive. We use it for the whole family, even the newborn, highly recommend! These are great! I don't use anything but these. 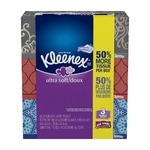 Great for your nose when you have a cold and are needing a Kleenex constantly. The rest all seems like sand paper. 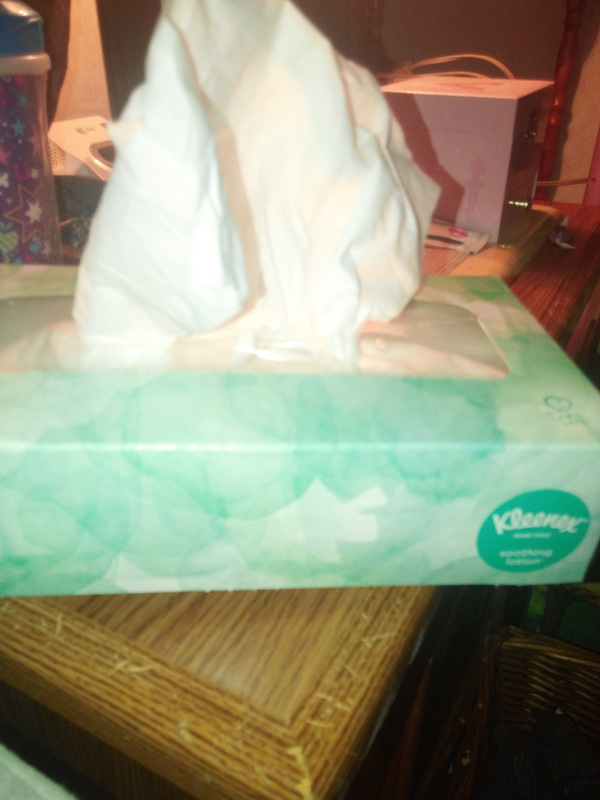 As a person with a sensitive nose, Kleenex tissue paper has really helped me when I was sick. 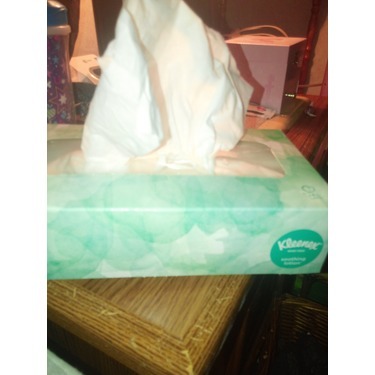 This product is super soft and it doesn’t hurt my nose at all! 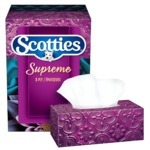 We hate that time of year when all our noses run but this is the best Kleenex by far as it holds up to all the blowing and helps us to keep our noses from turning red and hurting when we blow! Definately one to keep around for sure! I tried these Kleenex with lotion and Ill never do it again! Its says its supposed to sooth your nose from redness.. Theyre so saturated that it not only made my face oily but I broke out from it. Theyre awful. With winter coming and the cold Flu season starting - Kleenex with lotion is the best to have on hand when your using A lot of it. No more red sore nose. I make sure the kids use it to keep any soreness from happening. We have a couple of family members with allergies so we go through a lot of facial tissue in this house. This product is a little too moisturizing for regular, everyday use but they are great for when one of us has a cold and ends up with a very tender nose. With a five-year-old at home, there is a runny nose most of the winter season. 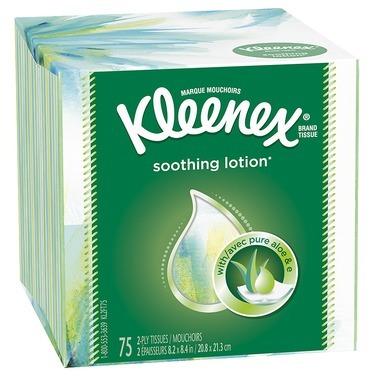 What's Kleenex facial tissues with soothing lotion it helps her little nose keep from getting chaffed red and sore. 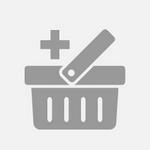 You can't beat the quality of this product for the price! Will buy again and again and again!